Searching for contact lenses made by Advance Medical Optics, AMO, Alcon, Bausch & Lomb, Ciba Vision, Cooper Vision, Hydron, Gelflex, or Johnson & Johnson? Cyberlens Stocks and Sells all available contact lens intervals that are cheap priced or at discount prices direct from their online store delivered to you across Australia. A daily wear contact lens is designed to be removed prior to sleeping. An extended wear (EW) contact lens is designed for continuous overnight wear, typically for 6 or more consecutive nights. Newer materials, such as silicone hydrogels, allow for even longer wear periods of up to 30 consecutive nights; these longer-wear lenses are often referred to as continuous wear (CW). Generally, extended wear lenses are discarded after the specified length of time. These are increasing in popularity, due to their convenience. Extended- and continuous-wear contact lenses can be worn for such long periods of time because of their high oxygen permeability (typically 5-6 times greater than conventional soft lenses), which allows the eye to remain healthy. Cyberlens stocks contact lenses made by the best in the industry. 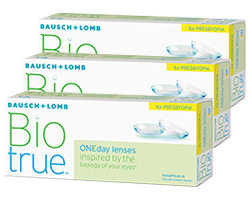 If you are looking to buy daily contact lenses we sell contact lenses worn on a daily interval that are made by Advance Medical Optics, AMO, Alcon, Bausch & Lomb, Ciba Vision, Cooper Vision, Hydron, Gelflex and Johnson & Johnson. 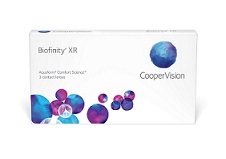 If you are looking to buy fortnightly contact lenses we sell contact lenses worn on a fortnightly interval that are made by Advance Medical Optics, AMO, Alcon, Bausch & Lomb, Ciba Vision, Cooper Vision, Hydron, Gelflex and Johnson & Johnson. 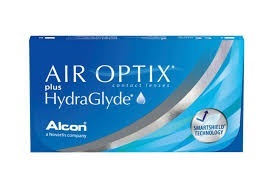 Silicon Hydrogel can also prevents deposit build up and reduces dry eye irritation. 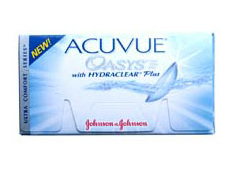 30–day continuous wear with no need to remove contact lenses daily, these are the ultimate in convenience. These are lenses you can truly “sleep in”. Soft contact lenses that are made with a new silicone hydrogel material can be worn for up to 30 nights and days. 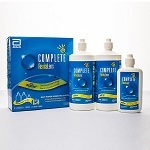 If you are looking to buy extended wear contact lenses or monthly contact lenses we sell contact lenses worn on a monthly interval that are made by Advance Medical Optics, AMO, Alcon, Bausch & Lomb, Ciba Vision, Cooper Vision, Hydron, Gelflex and Johnson & Johnson. 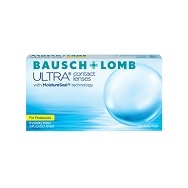 The various soft contact lenses available are often categorized by their replacement schedule. The shortest replacement schedule is single use (daily disposable) lenses, which are disposed of each night. Shorter replacement cycle lenses are commonly thinner and lighter, due to lower requirements for durability against wear and tear, and may be the most comfortable in their respective class and generation. These may be best for patients with ocular allergies or other conditions, because it limits deposits of antigens and protein. 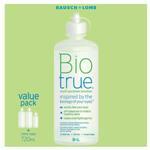 Single use lenses are also useful for people who use contacts infrequently, or for purposes (e.g. Swimming or other sporting activities) where losing a lens is likely. More commonly, contact lenses are prescribed to be disposed of on a two-week or monthly basis. Quarterly or annual lenses, which used to be very common, have lost favor because a more frequent disposal schedule allows for thinner lenses and limits deposits. 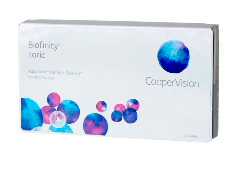 Cyberlens Stocks and Sells all available contact lens types including multifocal contact lenses, bifocal contact lenses, shperical contact lenses, toric contact lenses, astigmatism contact lenses and coloured contact lenses that are cheap priced or at discount prices direct from their online store delivered to you across Australia. They may have a specific 'top' and 'bottom', as they are not symmetrical around their centre and must not be rotated. Lenses must be designed to maintain their orientation regardless of eye movement. Often lenses are thicker at the bottom and this thicker zone is pushed down by the upper eyelid during blinking to allow the lens to rotate into the correct position (with this thicker zone at the 6 o'clock position on the eye). Toric lenses are usually marked with tiny striations to assist their fitting. 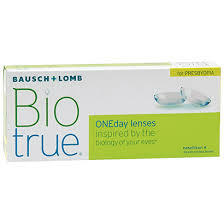 They are usually more expensive to produce than non-toric lenses; therefore they are usually meant for extended wear. 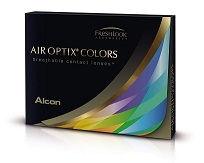 The first disposable toric lenses were introduced in 2000 by Vistakon.